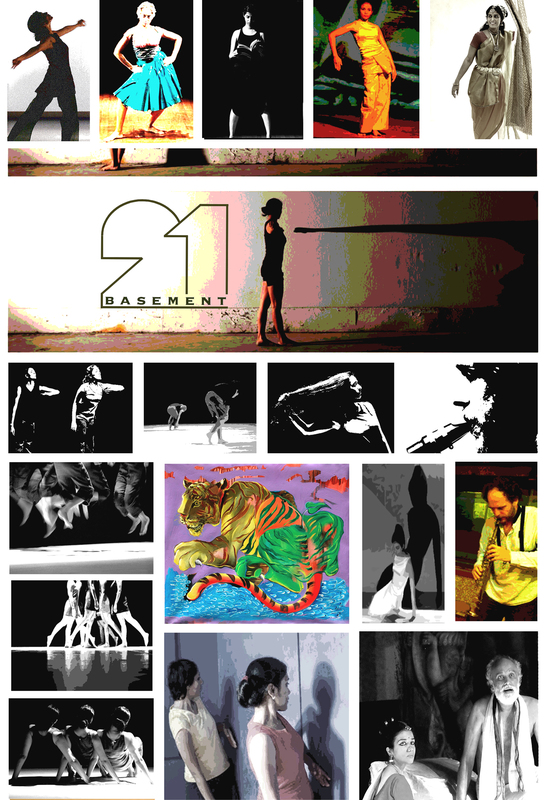 Basement 21 – a group of creative artists based in Chennai – investigates contemporary thought and action by focusing not just on the artistic `product’ but the artistic process and the surrounding discourse, thus providing a necessary context often in need to be reconstructed. It is run by practitioners, informed by practice, and therefore committed to enabling and strengthening the growth of contemporary arts practice. Founded in the year 2011 by Padmini Chettur, Preethi Athreya, K. Pravin and Maarten Visser – dancers, theater-artist and musician based at Chennai – Basement 21 hosts regular improvisation sessions in movement involving artists from various discourses and presents performances, workshops and lectures on art, which include some of the works of artists, who are also independent practitioners, associated to it. Natesh Muthuswamy, Krishna Devanandan, Meera Krishnamoorthy, Vijay Boothalingam, Anoushka Kurien, Sujata Goel, Ranjith Hegde, Akila, Harish Ravindran, Aditi Bheda, Madhushree Basu, Jahnvi Sreedhar, Sharan Devkar Shankar and many others artists have been closely associated with Basement 21 at various points of time and continues to be so. This blog aims to be a space for sharing thoughts, news and study materials on contemporary art – in the form of articles and visual media – with a primary focus on the Indian panorama. This blog is run by members of Basement 21. We feature artworks associates of this group created both independently and through the Basement 21 platform, but we are primarily interested to establish a free space to discuss art that we encounter and that stimulates our mind – not just as a form of entertainment, but the history, anatomy and politics behind it.